There is no easy way to answer whether surgery is right for prostate cancer patients. In part that's because prostate cancer, for most men, is actually a chronic condition rather than a short-term, life-threatening event. However, many men, regardless of age, feel strongly that they want to get the cancer out of their bodies before it might do more harm. If you are among such individuals, then surgery is worth exploring, but so is radiotherapy. Choosing the best prostate cancer treatment is a complex matter. For that reason I’d like to review some treatment options in a two-part series, starting with the material below. I invite you to share your experiences and views in the comment section after the second part of this dialogue, which I’ll post tomorrow. 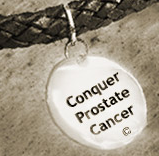 Prostate cancer surgery is just one of many prostate cancer treatments. But a large number of new patients select surgery, including up to 50,000 of 200,000 newly diagnosed prostate cancer patients every year in the USA alone. Whether surgery is right for you as a newly diagnosed prostate cancer patient, depends on a number of factors. This is underscored in my response to a relatively young man, who asked me whether surgery was best for him. His question and my answer follow. After a prostate cancer diagnosis and treatment, many wonder how long we have to live. Earlier today I received such a question, which struck a chord in me. While you can find my response in the Comment section of this blog, this matter deserves to be restated here. What prostate cancer treatment should you choose when you have prostate cancer? That was my Number One problem when I was first diagnosed with a little over three years ago. After a series of mis-steps I finally opted for robotic surgery. It was a decision I will never regret. Australian researchers from the Monash University have announced that they have discovered a new way to treat castrate resistant cells in advanced prostate cancer patients. Although the potential for their discovery is very exciting, it remains just an exciting new potential.